Yeh Rishta completes ten years. The relations are kept so beautifully that the show has entered the hearts of millions of heart. 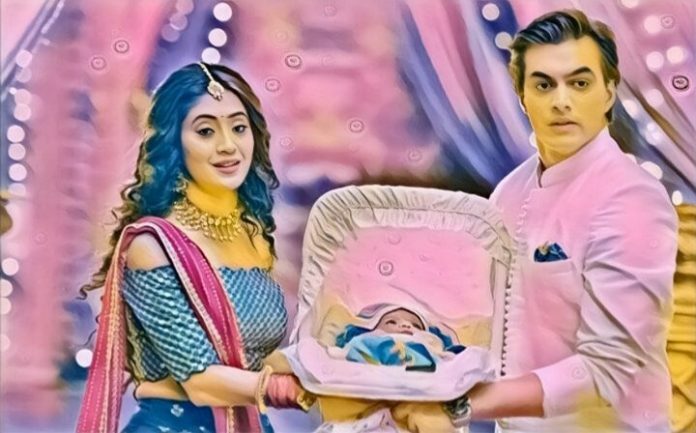 The story is moving ahead with the twist of Kartik swapping the babies. He isn’t aware that his baby is alive or dead. He has blindly believed the nurse Leela who fools him for money. Leela acted as a genuine helper at first. She now demands Kartik for money to keep his secret crime hidden. 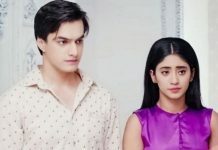 Kartik gets helpless to lie to Naira and fulfill the money needs of Leela. He wants the truth to be hidden at any cost. He learns about the baby vaccination which can bring the baby’s truth out. He doesn’t want the baby to undergo the medical tests. He swaps the files of the babies as well and wonders about the wrong information of Kirti’s baby’s blood group. Kartik stays in tension while both the families celebrate Baby’s naming ceremony. The two families have a challenge and show their tashan while suggesting names for the baby. Kartik fails to enjoy the function because of the ongoing tensions. Keep reading for more on the show Yeh Rishta Kya Kehlata Hai. Radhika gets to see the masked bride goon. She isn’t aware that he is her husband Varun. She falls in danger when she gets caught by Varun. She gets terrified and shouts to Shivaansh for help. Varun kidnaps Radhika. He gets angry and can’t let anyone expose his truth. Shivaansh and Khanna are close and miss to see Radhika. Radhika struggles to get free. She tries to run away. Varun finds her. The family is busy in Shivani’s Sangeet function. They sing and dance, unaware that Radhika is attacked. No one gets to hear Radhika’s scream for help because of loud music. She faints down by Varun’s hit. Varun takes her away. Shivaansh looks for Radhika everywhere. Nani and Mannat tell him that they haven’t see Radhika around. He gets worried for his sister. He will be finding Radhika and saving her life.